The Omni Junior Electric Guitar features a complete set up to get your youngster started. 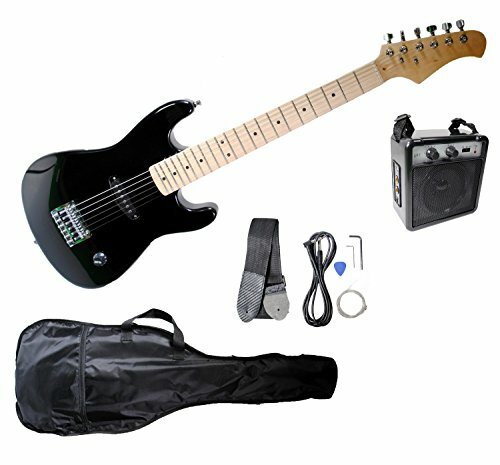 It comes with a 5 watt amp, amp cord, guitar strap, guitar pick, tools and an extra set of strings. The amp features a carrying strap and is powered by a 9V battery (included) or DC 9V Adapter (not included) and features two inputs, volume knob and tone knob.